A few weeks ago I released a new eBook titled, “The Essential Guide To Touring Bicycles.” In the book, I take you by the hand and teach you about what to look for in a quality touring bike. I then introduce you to more than 200 different types of touring bike models made in countries all over the world, with the goal of finding you the best touring bicycle for your specific needs. 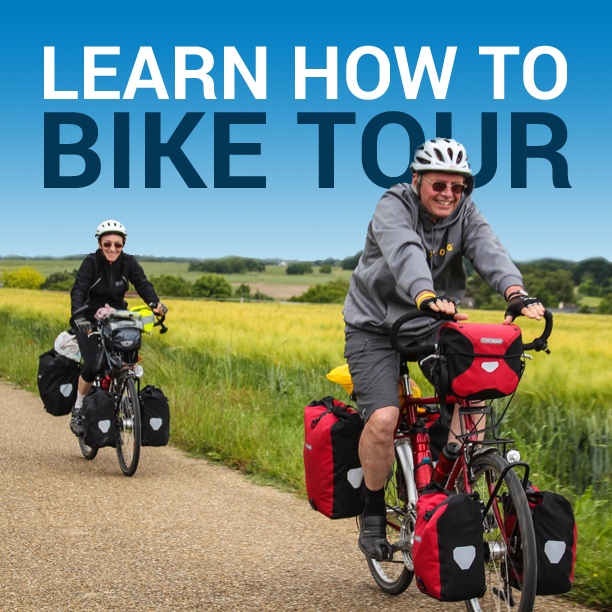 To get more information on “The Essential Guide To Touring Bicycles,” please click here. You probably heard about the launch of this new book when it came out just a few short weeks ago, but what you likely don’t know is that there are two super cool bonus gifts that come with the book for free when you order it. The first free gift that is included with your purchase of “The Essential Guide To Touring Bicycles” is another eBook titled, “A Buyer’s Guide To Bicycle Touring Panniers & Trailers.” Pictured to the right, this is a 56-page eBook that introduces you to all the popular bicycle touring panniers and trailers and it comes with specific recommendations on which panniers and trailers you should buy. The other free gift that you get with “The Essential Guide To Touring Bicycles” is a video recording of a webinar that I conducted not too long ago, during which I spoke at great length about touring bicycles, panniers and trailers. The video is an hour long and in it I talk about why it is so important that you use the right kind of bicycle on your bicycle tour. I also spend a significant amount of time in the video answering questions that were sent to me about specific types of touring bicycles, panniers and trailers. I talk about why certain touring bicycles are designed the way they are, how to make emergency repairs to your bicycle out on the road, what you need to do if you can’t find a touring bike on display at your local bike shop, plus a whole lot more. I’ve done my best to make “The Essential Guide To Touring Bicycles” as helpful and as irresistible as possible. 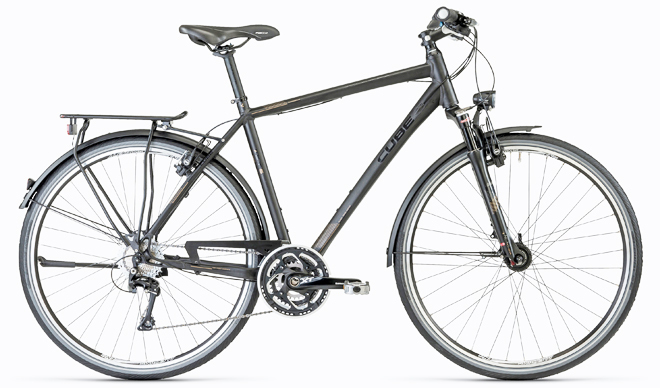 So, if you are in the market for a new touring bicycle and you haven’t got a clue as for where to start your search, click here and learn more about my new eBook and the super cool bonus gifts that are included with it. This entry was posted in Bicycle Touring Pro Articles, Bicycles, Books, Products, Shorts and tagged a buyers guide to bicycle touring panniers and trailers, best touring bicycles, bicycle touring ebook, bicycle touring panniers, bicycle touring trailer, bonus gifts, ebook, ebook download, free bicycle touring ebook, the essential guide to touring bicycles, touring bicycles, touring bikes.